Ka-bump! Ka-bump! Crash! Crash! Crash! Thumpity-bump! Thumpity-bump! Boom! Bang! Bash! The other animals beg her to find a quieter hobby. Knitting? Singing? 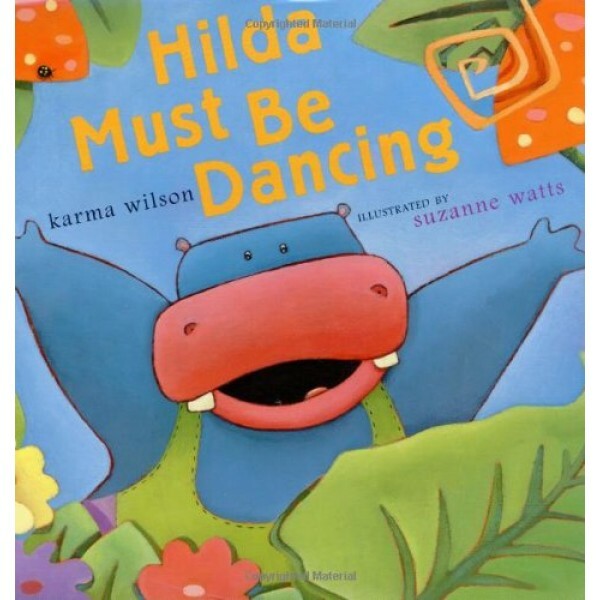 For Hilda, nothing else will do. What could possible be as fun as dancing? 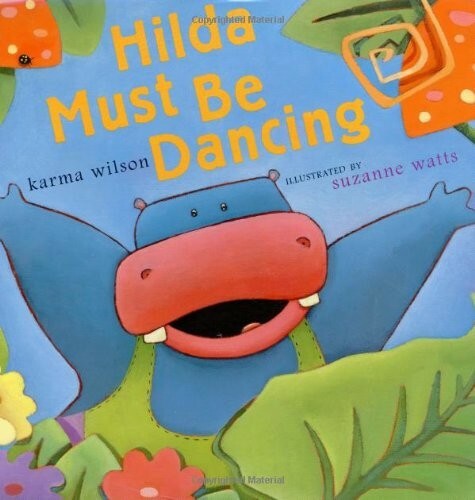 Her friends in the jungle try to subtly guide Hilda down other creative paths, but knitting and singing just don't do it for our hefty heroine. Is there anything else Hilda can do that won't make bananas fall from the trees and clouds of dust fill the air?